Want to learn powerful ways to make money with your book? 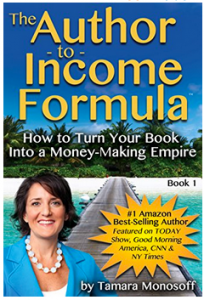 Listen as creative marketing expert, Dr. Tamara Monosoff shares her author-to-income formula. 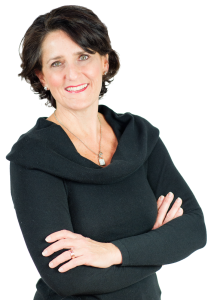 As an award winning inventor, a leading voice for women and business and founder of Mom Invented, she’s been featured in hundreds of media outlets including The Wall Street Journal, The New York Times, Time Magazine, People and Oprah Magazines. She’s appeared on multiple TV shows including the Today show, the View, Good Morning America, and many others. She’s a former Clinton White House Adviser and US Department of Education chief of staff, adult education. Q: In your book, the Author To Income Formula, you talk about how to make money with your book, can you share a few practical tips to help our listeners? A: One of the tactics or strategies that I came up with because I found that I wanted a way to connect with people who are interested on Amazon, and were looking at my book. I wanted to be able to connect with them whether they bought my book or not. The beautiful thing about Amazon is the, “Look inside” feature. When you click on that, “Look inside” feature you see the title page and then, you see the table of contents, and then whatever other information you’ve put in the book. However, the biggest opportunities that authors miss is right after the title page, that’s where I put a special invitation to my readers. On that page, I have several live links that lead people to download something for free that’s useful. Helpful information that they can take in the form of a gift, and have something of value to get to work with right away. I’ll usually give three to five different gifts on a special invitation page with the live links in the look inside feature. People can click and they can immediately go and opt in, which is providing me with their name and email address from Amazon. They get added to my list and then they receive my gift. This is all without necessarily having to purchase my book. This now gives me the opportunity to get to know that person and communicate with that person and create a long term relationship with that person. You start to build trust with the readers that come from Amazon.